It makes sense that two F1 teams subject to the same F1 circumstances will have similar F1 struggles. And so it is with Sauber when assessed alongside the next team up in last year's constructors' table Renault. As with Team Enstone, Sauber had been mighty once (though in the Swiss team's case mainly so in its BMW guise) but more lately under non-manufacturer owners had rather been in a state of drift, desperately lacking investment. 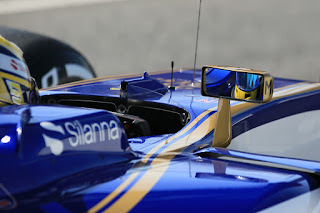 In fact in Sauber's case it had more visible manifestations, with its 2016 car essentially a re-hash of the 2015 one. Which in turn was a re-hash of the 2014 one. Certainly its aero looked conspicuously behind the times. In-year development was near non-existent. Plenty of talented individuals left. Its very survival was in genuine and immediate doubt. But like Renault too a takeover has at least got it moving forward, in Sauber's case this was by Swiss-based investment company Longbow Finance mid last year. And after it, long held off development was turned into actual new parts, and there was at least a mini-upturn in competitiveness. Though it was only amid rainy Brazil's chaos that it guaranteed it wouldn't be bottom on the constructors' pile, as Felipe Nasr bagged two points for ninth. And it's continued into this year as the C36 was launched. "We can see that they've really started to develop a proper 2017 car, they've thought about the regulations," noted an observing Craig Scarborough at the time. And in another indirect consequence of Nasr's Interlagos tour de force F1 is down to ten teams (as missing on the constructors' cash broke Manor), assuring Sauber constructors' placing payments for the foreseeable future. More of a note of worry comes from its engine for this campaign, which is a year-old unit from Ferrari (albeit one from the end of 2016, so it'll be an upgrade on what Sauber had last year). Team principal Monisha Kaltenborn said it was a conscious choice, in that it allowed the team to develop its chassis sooner as it knew what it had to build around. Maybe so, but we all can recall the problems Toro Rosso had in a similar situation last season, particularly as the campaign progressed. More specifically, Ferrari admitted it had to beef up its engine for the extra lateral forces this year, so one wonders what the implications will be for Sauber's long in the tooth version. Sauber often has scored points early in a season while others flail. Use of a year-old engine, and its resultant reliability, may help to perform this trick again. But there was little in testing to suggest that the team would be near the front of the queue to clean up if there is unreliability ahead. The smart money is that the Sauber was off the back of the midfield. Perhaps in the mix with the recalcitrant McLarens at the very back. Perhaps by itself at the very back. The car doesn't appear to have much wrong as such, it's just that it's behind the others. Not surprising, given everything - plus that a big reg change wouldn't be good news for a team of its size at the best of times. As with Renault, while the slide has been addressed the road back is a long one. What lays ahead is likely a year of trying to re-achieve respectability while it re-staffs. 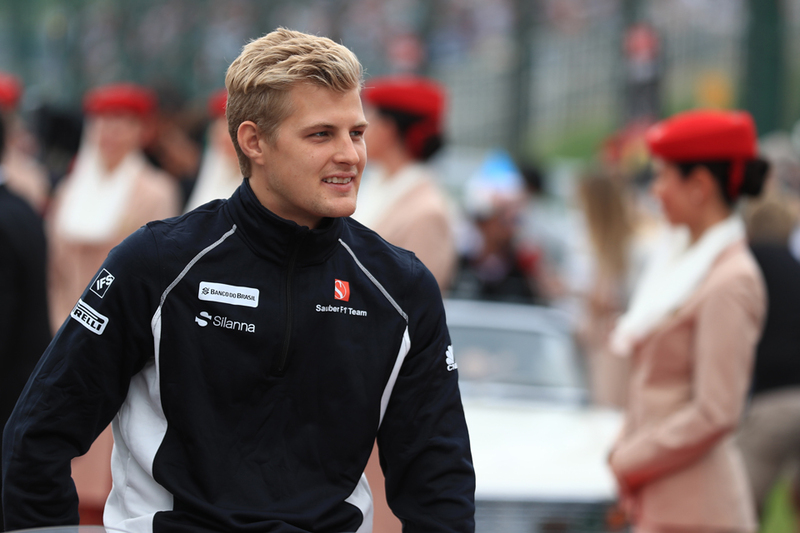 Marcus Ericsson isn't as bad as some like to assume, and certainly since his 2014 F1 debut at Caterham has made pretty consistent improvement. And last year at Sauber he built a little further on the bricks he'd assembled. While his then-team mate Felipe Nasr scored the team's only points of the year Ericsson was the more impressive in general, often being ahead - and sometimes far ahead - on Saturdays and Sundays. His season started and ended well, with China and Spain early on, and USA and especially Mexico (where he came through to P11 after having his nose knocked off on lap one) late on, likely his best showings. He did experience however a conspicuous mid-season slump wherein he both struggled in qualifying as well as - in an old bugbear - didn't always keep his tyres together well enough in race stints. The team's saviour Longbow Finance is close to Ericsson's plentiful backers, so this as good as guarantees his job security for the next while but he demonstrated last season that there may be more to him than that. It could get better too, as Ericsson's junior formulae record was impressive until he started to encounter designed-to-degrade tyres (not only in F1 but in GP2 before that), which as intimated he often struggles with. This year the tyres are reckoned to be much more durable. One way or another this season, alongside the young hot shoe Pascal Wehrlein, should tell us a lot about Marcus Ericsson. A young man in a hurry - and one who has just been irked. 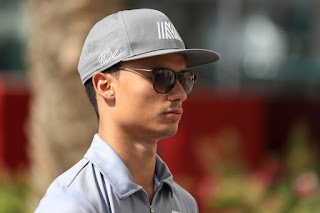 Missing out on the vacant Mercedes race drive (and the Force India one before that) for this campaign clearly grates with Mercedes protege Pascal Wehrlein. So he'll be even more keen than usual to prove a point. It may just add up to something spectacular. Even in a Sauber. Certainly from his public pronouncements he is not one to underestimate his own abilities. It is a trait that may serve him well, but a good few theorised that his being overlooked for the promotions mentioned for 2017 owed as much to an abrasive personality as any lack of experience or talent. But there is plenty of talent there, and he showed it plenty in 2016 in his freshman F1 season at Manor. He managed to get the tail-end machine into Q2 on no fewer than five occasions and he got close a few other times too. While in Austria he likely would have gone one better to Q3 had Manor brought more qualifying tyres - he missed out narrowly on the top ten on much slower rubber than those around him. He also was consistent both between and within races, was unafraid to mix it with other cars and didn't make a massive amount of errors (though there were some dotted around). And his fighting drive to a point in Austria, chasing down some haughty opponents late on, was his best of the bunch. There wasn't much in the debit column, though he sometimes struggled with tyre temperature, didn't impress in the wet in Britain or Brazil (indeed in Interlagos team mate Esteban Ocon seriously left him behind) while early in the campaign he was out-qualified by Rio Haryanto in the other Manor rather more often than anyone anticipated. Now though it's about proving wrong those who blew him out.